It is our mission to be a solid team of stylists who continue to grow our businesses and education. We want clients to leave with the best quality service possible. 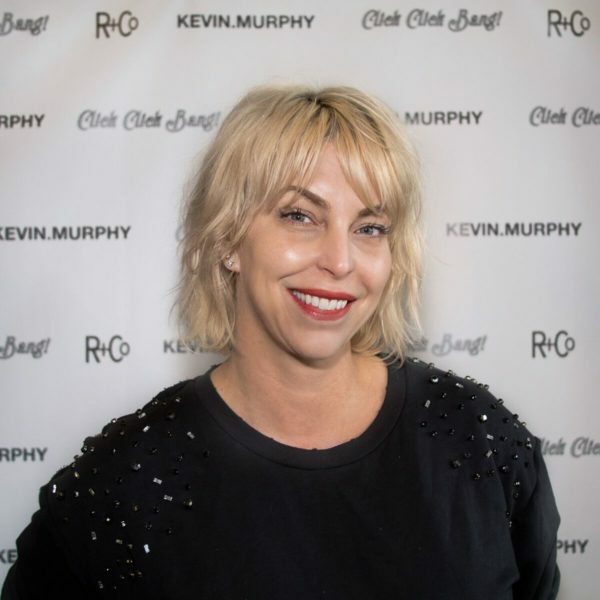 Click Click Bang is the only salon in Santa Cruz selected to become a Kevin Murphy Sessions Salon. 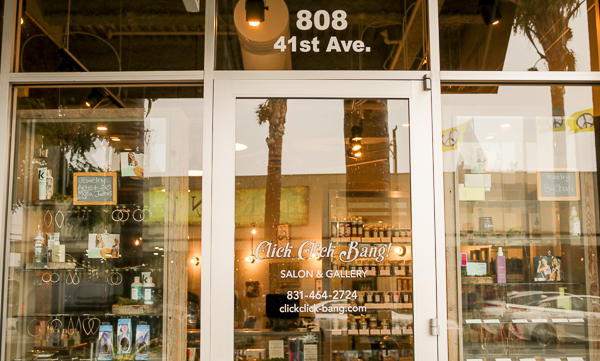 At Click Click Bang we are here to provide you with most qualified,educated and knowledgeable stylists to make you look and feel your very best. Hair is a beautiful form of self expression all of us here are excited to be apart of that creative process. Emily Legge has over 20 years’ experience in the industry and is a local hair legend. She is inspired by her work in Santa Cruz, San Francisco, and Los Angeles – where she has done runway shows for the “E!” channel and worked the stage at hair shows. With extensive high quality experience under her belt, from owning smaller boutique salons to working with private clients, she has now brought her diverse talents to the Monterey Bay Area! Always looking for the latest and greatest techniques, Emily expands her education by taking classes at Vidal Sassoon on specialty cuts and color, NYC Redken color training, Bumble and Bumble, Orbe styling, Kevin Murphy styling classes, Unite education, and the Botanical Healing Arts College. Cut, color, style, straightening, keratin – Emily does it all! She has specialized training in hot heads extensions, color matching expert, and styling extensions – (not just putting the hair in). Her interest is in maintaining the integrity of your hair from the inside out. Emily says, “My passion for hair styling is not only on getting the look but keeping it by working with what you have or what I can add! I love working with long hair as well as precision short cuts. I love doing color… blondes to brunette and everything in between. Mingling art and community through neoteric beauty. A fashion and art enthusiast, Jacqueline has a natural eye for design and enjoys meeting challenges with her unlimited creativity. She has nearly 20 years’ experience in the beauty industry and has strengthened her career with degrees in business, arts, and all things beauty. Her drive for continuing education, precise communication, open collaboration, and refined service has produced a great, growing, and loyal clientele. Jacqueline has worked both behind the chair and on location with hundreds of wedding parties, on roof top fashion shows at FIDM with San Francisco’s hottest designers, with photographers and artists who display in local museums and costuming for special events. She enjoys creating hair and make-up looks from soft and sultry, avant-grade and wild, to precise fades and men’s grooming. Diving deep into her creative realm whilst applying academic knowledge and technique is where she finds herself most at home. Combining these attributes along with her love of people and building genuine relationships yields unique and personalized hair treatments that bring out the best looks in all her clients. Jacqueline has two young children and enjoys spending time with them on the beach and nurturing their creativity by planning their next Halloween costumes and epic birthday parties. Holding true to her love of challenge and variety you can often find her weight training, competing in muddy spartan races, and taking courses in economics or business working toward more degrees. Jacqueline has taken numerous hair and makeup courses from MAC, Kryolan, Ben Nye, Cabrillo Theater, Schwartzkopf, Redken, Hotheads hair extensions, Unite, Kevin Murphy, Vidal Sassoon, Coopola, Cadeveu, Euphora, Paul Mitchell, Pravanna, Prive, Brazilian Blowout, and many more. Lauren Happee, Santa Cruz local with a passion for art & a creative eye, Lauren loves customizing each client’s hair to excel their expectations. Her passion includes everything color. She does everything from lived in beach blondes to vibrant and vivid custom colors. As well as a passion for the arts Lauren also has a deep appreciation for education, always staying current with the newest trends. 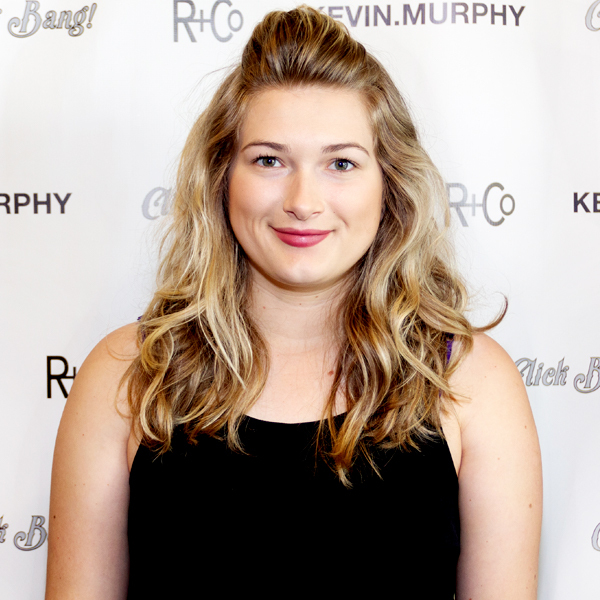 Lauren has attended many master color classes as well as Vidal Sassoon cutting courses and Kevin Murphy styling. Lauren uses Alfaparf color as well as Redken and Matrix to create the perfect style for every one of her guests. Creating healthy and beautiful hair is what she loves best! Ricky’s journey into the hair industry started when he was a teenager giving everyone in the neighborhood haircuts out of his mom’s garage. That’s what sparked the ambition for the craft he is now honing as his career and passion. After attending the Cosmetology Academy he continued to seek further education apprenticing under a Toni and Guy/Vidal Sassoon master stylist. 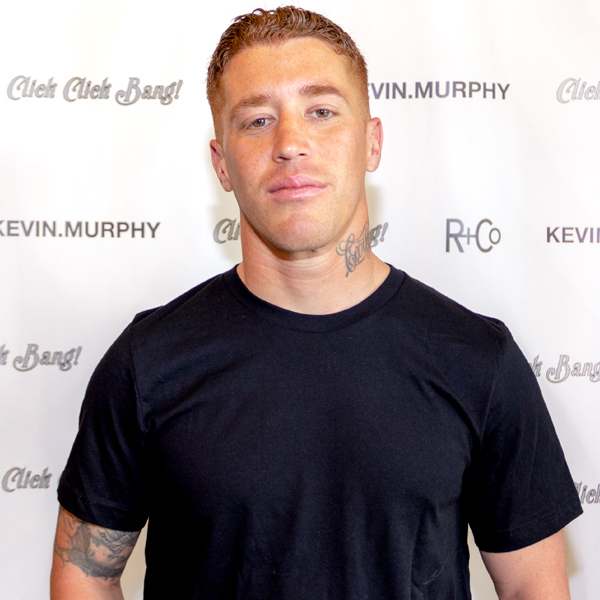 For the past 4 years he has been building his business and implementing the the creative techniques he has picked up through the years always looking to extend his education taking to trips to L.A. to attend seminars and classes on the latest haircut trends, styling techniques, and color applications. Being an avid surfer Ricky loves how the sun naturally highlights the hair and has become thoroughly proficient at emulating that perfect natural looking beach blonde. Using mostly redken for his color and lightener, always using a ph bonder to keep the hair healthy as possible while lifting. He also uses kenra for color matching, and when it comes to fun fashion colors he uses Pravana and Pulp Riot.